This weeks vegan meal prep ideas post is much like the buddha bowls we looked at in week 3. Lately this is my preferred method of prepping and while I might make a recipe for two here and there I prefer to prep things I can just throw together day-to-day. Today we’ll check out a couple of easy dressings, a tasty lentil beet salad, two raw vegan snack options and some delicious broccoli rice. This prep took me about 2 hours start to finish and the yield was pretty sweet for such a short time commitment. We were out of town almost every weekend in August and as a result I didn’t do much meal prep. Man, did I miss it! Having even the most basic food prepped and ready to go makes such a huge different in my week. It felt good to get back at it this weekend with a full vegan meal prep to get ready for the week ahead. Even though I work from home, meal prep is so important. 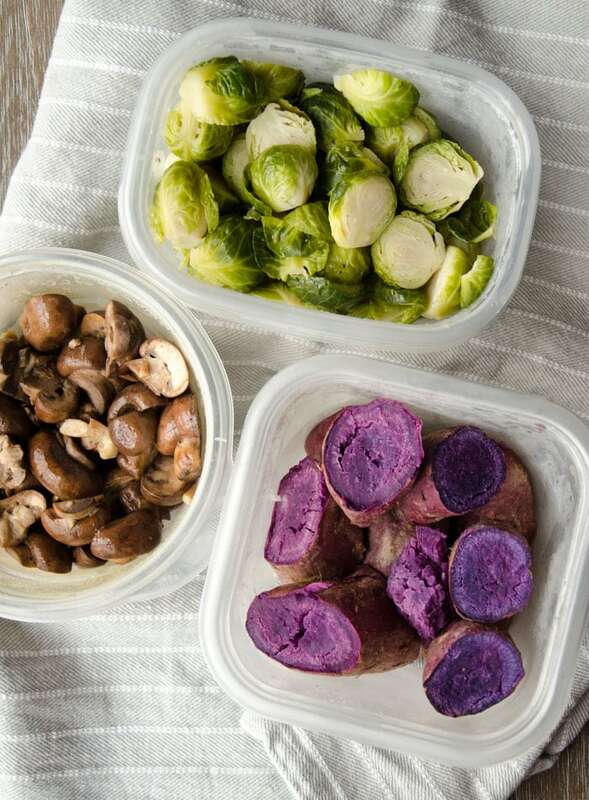 I’m way more likely to eat well if I already have food ready to go plus it saves me so much time because I don’t have to spend time thinking about or preparing lunch and dinner every day. Meal planning and food prep also saves money, reduces food waste and prevents me from eating smoothies for breakfast, lunch and dinner everyday because that’s what happens when I don’t feel like cooking. That seems like a lot but it was actually a very easy prep. I roasted the cauliflower at the same time the yams were baking and while that was in the oven, I made the lentil beet salad, broccoli rice, mushrooms and brussel sprouts. Once that was done, I quickly whipped up two dressings and the apple cinnamon ginger energy bars and coconut cacao fat balls. Aside from everything I prepped, I also stocked up on nuts, seeds, frozen fruit for smoothies and pre-washed greens mixed and spinach for quick salads. I pretty much have use a base of greens for all my meals for the extra nutrition. I also bought a couple of packaged coleslaw mixes that are awesome in a healthy chow mein dish with zucchini noodles I like to make. If you have a well-stocked pantry then you don’t really need much else besides fresh produce. 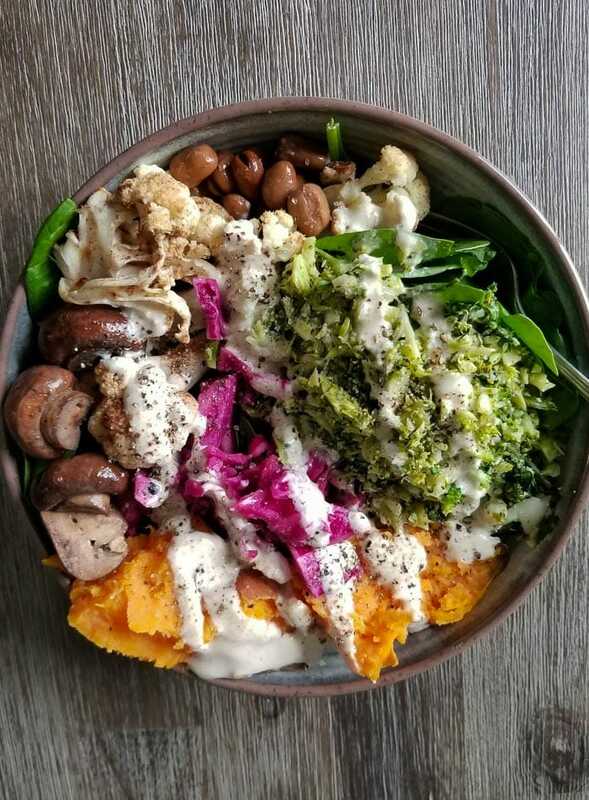 The nice thing about all these plant foods is that all go well together so you can create healthy bowls full of all this goodness, top it off with dressing and call it a day. Buddha bowls are easy, delicious, beautiful and take just a minute to prepare. You can mix and match all your prepped ingredients to create delicious loaded salads, hot or cold, with whatever you feel like eating each day. For more buddha bowl ideas, check out my week 3 meal prep post. I had some beets that needed to be used up so I made this very quick and easy lentil beet salad to make use of them. This salad tastes amazing, is high in protein and packed with antioxidants and fibre. I normally cook lentils but I used canned for this so it took about 5 minutes to put it all together. This is really easy to make and it’s a nice base for buddha bowls, on it’s own, with other veggies or beans added in or on top of salads. To make the riced broccoli, I added 4 crowns of broccoli to my food processor and pulsed until it was the consistency of rice. Yes, use the stalks!! Then I added the riced broccoli to a pan with 1/4 cup of light coconut milk, a bunch of fresh cilantro, the juice from 1/2 a lime, sea salt and 4 cloves of minced garlic and cooked that up for 10 minutes or so, stirring often. For more details on making broccoli rice or to try lemon basil broccoli rice, check out my Broccoli Rice Buddha Bowl. While I’ll often just use straight tahini on my salads and bowls, sometimes I make dressings so it stretches a bit further. 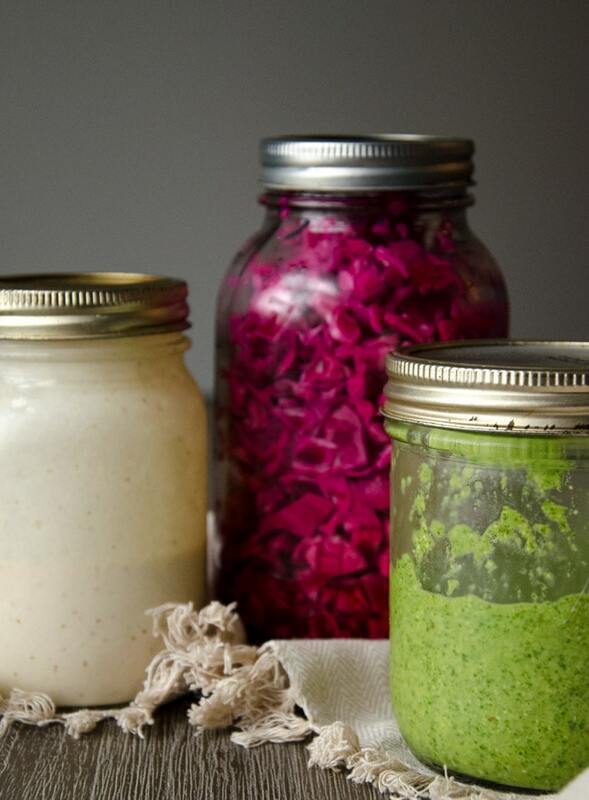 My tahini dressings a little different but I more or less use the same ingredients every time. 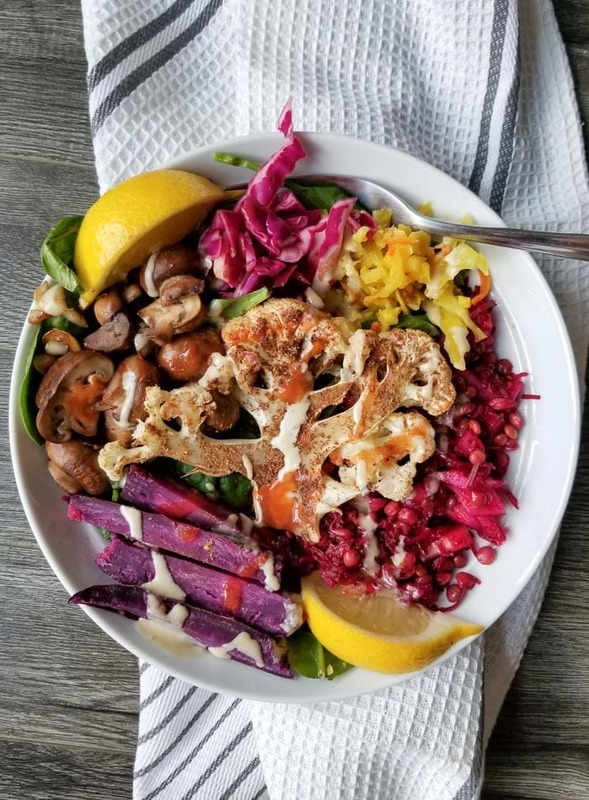 For more exact tahini dressing recipes, check out my Chickpea Salad with Tahini Dressing, Baked Cauliflower Salad Bowls with Tahini Ranch Dressing or Broccoli Salad with Lemon Tahini Dressing. I don’t think I could ever get sick of tahini but I decided to make an extra dressing this week to switch things up. This one is really good too! 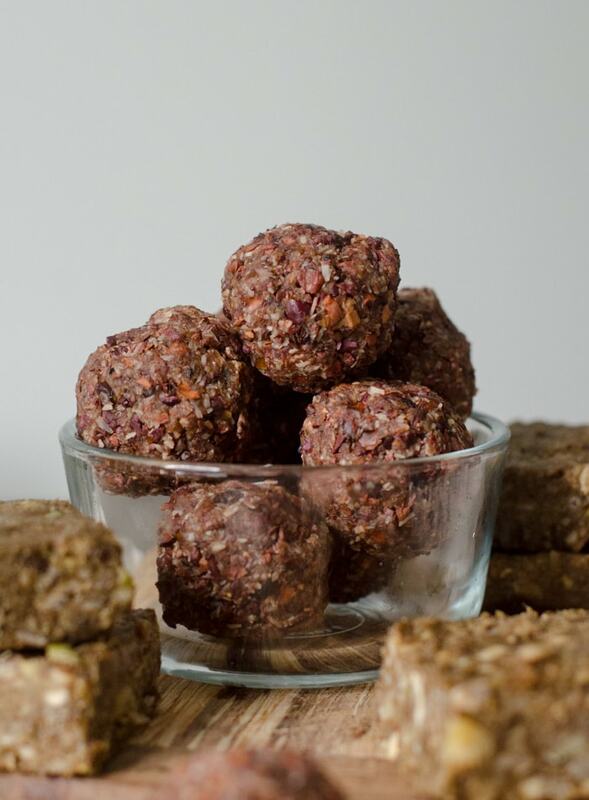 I need (ok, want) some kind of treat during the week and lately I’ve been really loving high-fat energy balls to satisfy my sweet tooth. Sometimes I make these without any sugar in them and even though they can be quite bitter with the cacao in there, they still seem to hit the spot. This week I added dates so they had a nice hint of sweetness. 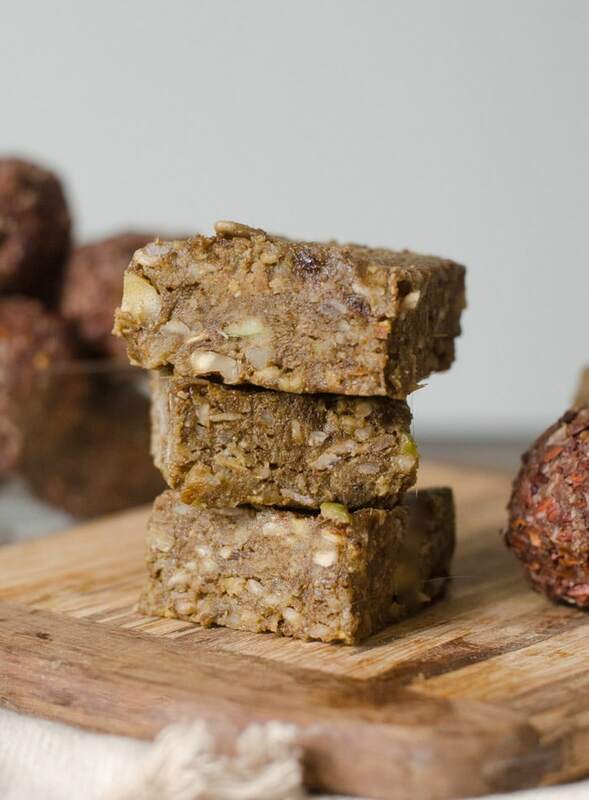 To make these, combine all ingredients in a food processor, mix until it’s crumbly and oily and then press into balls. It will seem like it’s not going to hold together but one they set in the freezer, the oil from the coconut solidifies them. Once these are set, store them in the fridge or freezer. These are also really nice crumbled on smoothie bowls. 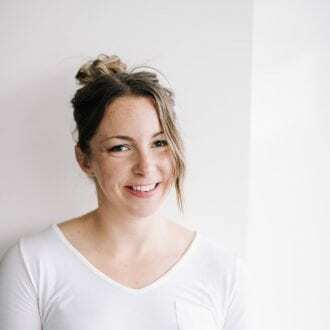 If you’re new to using my favourite superfood, cacao, I’d recommend adding a few dates or another natural sweetener such as coconut sugar or a drizzle of maple syrup as it’s very bitter. I like it but it takes a little getting used to. Typically the snacks I prep each week are recipes tests for the blog and that’s where I was going with these. These came out really tasty but the texture could use some work. I used 1 whole fresh apple, dates, sunflower seeds, fresh ginger, cinnamon and walnuts. That all got tossed in the food processor, blended up, pressed into a baking pan and left to set in the freezer. I’ll eat these for pre-workout snacks this week when I need them. I adapted the recipe from The Thrive Diet by Brendan Brazier, which I would definitely recommend if you’re interested in optimizing plant-based nutrition. Sautéed Mushroom and Garlic – Delicious and an awesome, flavourful addition to salads. To make this, I sautéed crimini mushrooms in a bit of avocado oil with plenty of garlic. Steamed Brussel Sprouts – Simple steamed brussels. I just chopped them in half and steamed until tender. I’ll eat these on their own or added to buddha bowls. 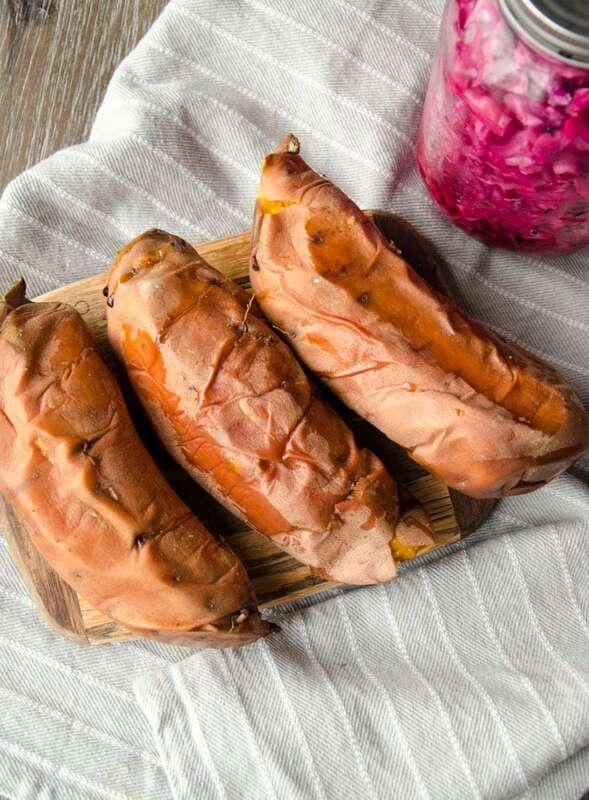 Baked Purple Yams – Same as the sweet potatoes. Curry Roasted Cauliflower – Nothing fancy here. I simply tossed a chopped head of cauliflower in garam masala and let it roast while the yams were baking. Chopped Veggies – Cut up onions, green peppers, carrots and celery for snacking, salads and cooking. Pickled Red Cabbage – This wasn’t a true fermented cabbage but rather a quick pickle I made with vinegar, coconut sugar and salt. I stuffed a large mason jar with a red cabbage, added vinegar, a good pinch of sea salt and a tiny pinch of coconut sugar and let it sit for an hour or so. This is a must-have for taking your buddha bowls and healthy salads to the next level! Steamed Zucchini and Cauliflower for Smoothies – Pretty self-explanatory. I chopped up 3 zucchinis and lightly steamed them before freezing for smoothies. I did the same with about 1/2 a head of cauliflower. I’ll use these in all sorts of smoothie combos all week. The more and more I read and learn about nutrition, the more I’m questioning a high protein diet. I’m now consuming about 115 grams a day, way down from the 160 grams a day I was once reaching for. I want to focus on eating as much quality, whole foods as possible and 160 grams of protein a day is not possible on a plant-based diet without supplementing with protein powder, eating too much fat and carbs, using vital wheat gluten or relying on processed fake meat products. In the latest book I read, Beyond Training by Ben Greenfield, he writes that even for athletes, there isn’t much additional benefit to be gained by exceeding 0.55 grams per pound unless you’re trying to gain muscle or are recovering from extreme exercise, in which case that can be bumped up to as much as 0.7 grams per pound of body weight, with the rest of your calories from healthy fats and vegetables with limited amounts of fruits and safe starches for intense bouts of exercise. In this article, again the takeaway was that there is no advantage to consuming more than .82 g/lb. per day to preserve or build muscle and that even that number is generous, since most research finds no addition benefits above 0.64 g/lb. I’ve read a number of other studies stating that 1 gram per pound just isn’t necessary and while I do train pretty hard, from what I’ve researched I think 115 grams is more than enough to support my active lifestyle. If I feel good after a few weeks, I’ll probably reduce that down a bit further. On the flip side of not getting enough protein, Greenfield also discusses the risks of having too much protein stating that once you get close to 1000 calories from protein, or 250 grams, you can no longer convert ammonia to urea and thus toxins begin to build, which is extremely stressful on the kidneys and other internal organs. I’m not saying eating more protein is wrong, I’m by no means an expert but I’m interested to see how I feel and how my body responds in training with less protein and honestly, it’s such a relief to not be trying to hit 150 or 160 grams a day. To get enough calories I bumped up my fats and carbs and overall I’m just focused on making the best whole food choices I can. I’m eating less grains (but still including some) and instead getting my carbs from vegetables, legumes and fruits. I’m eating more fat from avocado, coconut, nuts and seeds. So far, so good and I’m feeling great. I’ll let you know how things are going in next weeks meal prep post. If you’re interested in fitness, nutrition and practical advice to optimize performance, fat loss, digestion, brain function, sleep and hormones, I’d highly recommend checking out Greenfield’s book. The Science Weighs In: How Much Protein Do You Really Need? This is a big deal….big for me anyways! I didn’t think the day would ever come. It’s true, I’ve almost quit coffee. I was starting to get super jittery and anxious from drinking coffee and I finally decided to bite the bullet and give up my morning cup…kind of. It’s devastating but also for the best. Plus when blended up with a couple add-ins, it’s like the dreamiest, creamiest latte you ever had except with no jitters, no crash and no upset stomach. I drink on it’s own too, it tastes great! 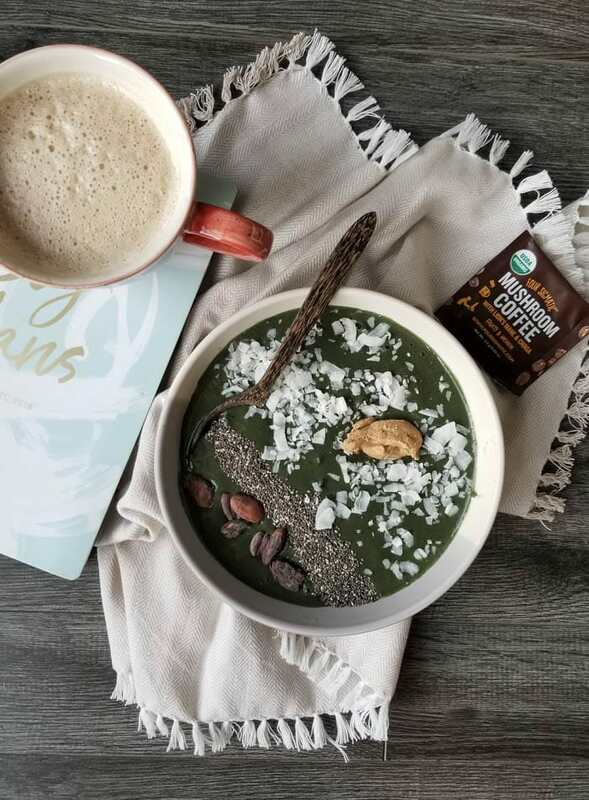 I’m absolutely in love with Four Sigmatic products and I can’t say enough good things about them. If you don’t drink caffeine they also have caffeine-free elixirs, hot cacao and superfood blends that don’t contain coffee. I love them all! Four Sigmatic has offered Running on Real Food readers 10% off their order. So if you want to grab, some, click here to purchase and then use RUNNINGONREALFOOD at check out. This looks so good! I love lentils, but I don’t often use them in the recipes I choose. I also love that this includes red cabbage. It’s so hard to find a good recipe that uses that! Thanks for sharing! I hear ya, I love red cabbage but don’t do much else with it besides pickling or making sauerkraut. It’s so good for you too! It’s really nice roasted too if you’re never tried that! Love the vibrant colors in this dish! Very appetizing. Wow! You’ve truly inspired me! Meal prep is super important, I agree. And these recipes truly sound delish! (and look amazing—>the color!!!). Sharing this with my Vegan girlfriend! I’ve never tried a buddha bowl, but I think I’ve been missing out! Your pics definitely make them look great! Ya! Give them a try! They’re sooooo good. What a beautiful color combination. I must say these food looks too pretty to eat. Keep this recipes you posted my sister will love this . Haha..ALMOST too pretty to eat but I managed to get past that. 😉 Hope you sister enjoys them! The lentil salad looks absolutely delicious. I can’t wait to make this! Let me know if you try it! It’s so easy and really yummy. Thanks! Glad you liked them…I can say they taste pretty great too! These look so tasty! Thanks for sharing! Definitely going to try them! Awesome. Hope you enjoy everything! I just very recently (last week) stumbled across your blog and I am so excited to read and try EVERYTHING!! Thank you so much for taking the time to share this content. I often struggle with meal prep because i always want to try something new and end up with a weeks worth of new receipes that I never end up making. This makes much more sense to me and is something that is actually doable and easy to follow. Thank you so much!! You’re so welcome! Thank you for letting me know you find this helpful. I really appreciate that. If I know they’re helping someone I will try to keep these weekly food prep posts up. I know meal prep can be a little overwhelming at first but once you get the hang of it, it’s a breeze and makes all the difference in your week. Thanks again! Really amazing recipes???? will try a few..thanks! Wow, impressive! That is a lot of recipes. It’s so nice to have a fridge full food that’s already done! Amazing colours and I’m always down for lentils! I was traveling a lot this summer, and I was thinking the same thing. It was so nice to be back at home to make my first batch of chili this past weekend. I’ll have to add these recipes to my list to try next! The bowl looks so dreamy! I love Four Sigmatic and use their Hot Cocoas and I just bought the superblend and am trying that too! Still love my coffee but same it doesn’t love me so just trying to cut back a little, especially the early morning workouts when it’s the only thing in my tummy it isn’t working for me anymore. Making the fat balls. Asap! I have a hard time with variety so These meal plans are great! This is such a great collection! Definitely need to meal prep some of these 😉 YUM! Delicious. All of my favorite flavors. You have seriously drawn me in with all of these amazing healthy ideas! And the cauliflower in that bowl at top looks like a tree – so cool! Pretty sure these are the best meal prep recipes ever! Those beets and lentils look dreamy! I adore the bright color! What a great week of meals. We are on exactly the same wavelength with this post! 1. 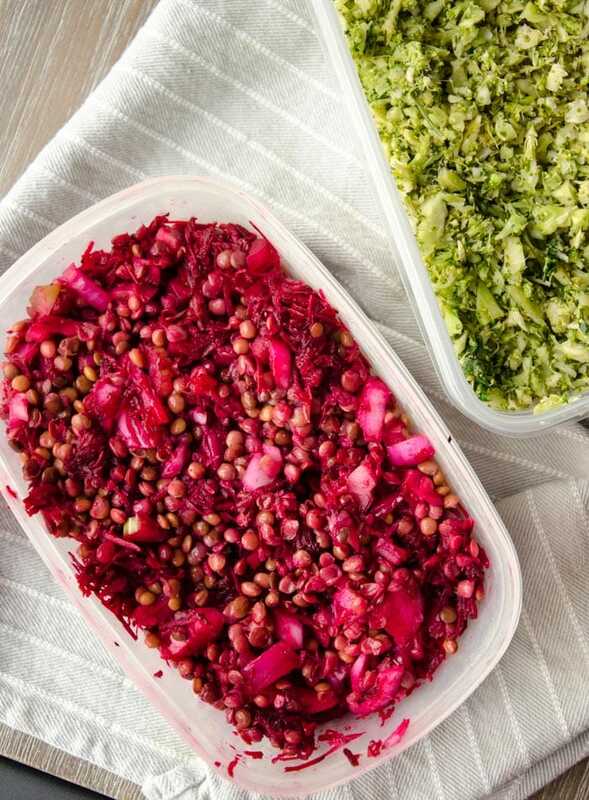 I am totally going to meal prep all of your amazing ideas next week – that beet lentil salad looks fabulous and so easy using the canned lentils. 2. Scary stuff about too much protein, right? The kidney issue is just the tip of the iceberg. There’s tons of research showing high protein diets may increase the risk of cancer and other chronic diseases too (happy to share references if you’re interested). 3. I’ve begrudgingly had to cut back on coffee as well 🙁 After many years of drinking it, I’ve found it makes me pretty anxious as well. I’ll have to try the Four Sigma drinks! Have you tried matcha? Yes, I love matcha too! I’m just out at the moment so have been loving the Four Sigmatic drinks. I love a good coconut matcha latte too though. Ya, super interesting about the protein…I think people are becoming more aware..slowly?! I don’t eat meat or eggs so I was never getting crazy amounts of protein but with tracking macros for performance and fat loss, it’s pretty typical to see 0.9-1 gram/lb. I’m feeling good so far so we’ll see how the next few weeks go! Can you please come make my lunches?! With four kids I usually resort to a smoothie or some veggies and hummus and alwaysss chocolate! 😉 I just need to prep ahead of time so that I can have beautiful and filling lunches like these! Oh, if I don’t prep I eat smoothies too…and I don’t have kids! I have to prep ahead if I want a chance of eating this way all week.